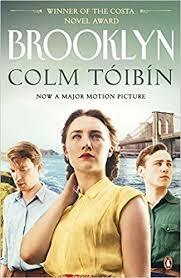 BleachHouseLibrary.ie: Book Review: Brooklyn by Colm Tóibín. Set in the 1950s, this is a book of Four Parts. 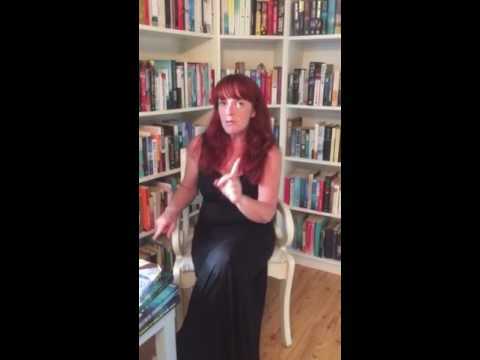 Each part tells Eilis Lacey's story. Part one introduces the reader to Eilis, who in her early twenties, lives with her Widowed mother and her older sister, Rose. Set in rural Ireland, we learn that the two girls are bright and intelligent. Rose has a job in an office and is an avid golfer, Eilis is great with numbers and works part time in a local shop. She longs for more but there are no opportunities in Ireland at this time and her brothers have already emigrated to England to find work. The small wages the girls earn are passed to their mother to help with the running of the house, and the little amount they keep for themselves tends to be spent on a trip to the local dance hall or cinema. When a visiting Priest offers to sponsor Eilis to emigrate to America, the family sees it as a great way to further herself and readily agree. The author describes the long journey, first to England and then onward to New York by ocean liner. Eilis's life is about to change. Part two concentrates on Eilis settling in to her new surroundings in Brooklyn. She moves in with an Irish woman who takes in young girls as lodgers and is a real motherly influence. The severe homesickness gets to her, and she finds it hard to make friends. Although she has employment in a large department store she still feels like a fish out of water and even volunteers to help out with the homeless on Christmas Day with her Priest. She is nervous of her surroundings at first, but soon aclimatises and it all becomes a way of life. Part three sees Eilis moving on, she starts night classes in accountancy and even finds a boyfriend. The problem is, he is Italian and this is not an ideal match. She tries to hide his heritage and only tells her Priest and writes letters to her Sister about him. They seem a great match and they slip into a comfortable courtship. Just as they are discussing their future together, a call to return to Ireland puts the brakes on any plans and Eilis boards the boat back home again. The final part examines her return trip to Ireland and how the future is less certain. She is torn between her love of her motherland and her easy life in America. How can she choose between them? Is responsibility more important than opportunity? Is love the main reason for choosing one place more than another? I could quote so many beautiful passages from this book, but it is too hard to choose just one or two. The whole novel is one, long, joyful experience and no one part is better than another. It is plain to see how this book was Award winning. Simple, elegant, insightful and an absolute pleasure to read from page one, to the final word. Colm Tóibín is a masterful storyteller of many novels and short stories, a real jewel in our little island's literary crown!